Agincourt Community Services Association (ACSA) is pleased to announce the launch of the ACSA Green Directory app in the Google Play Store. 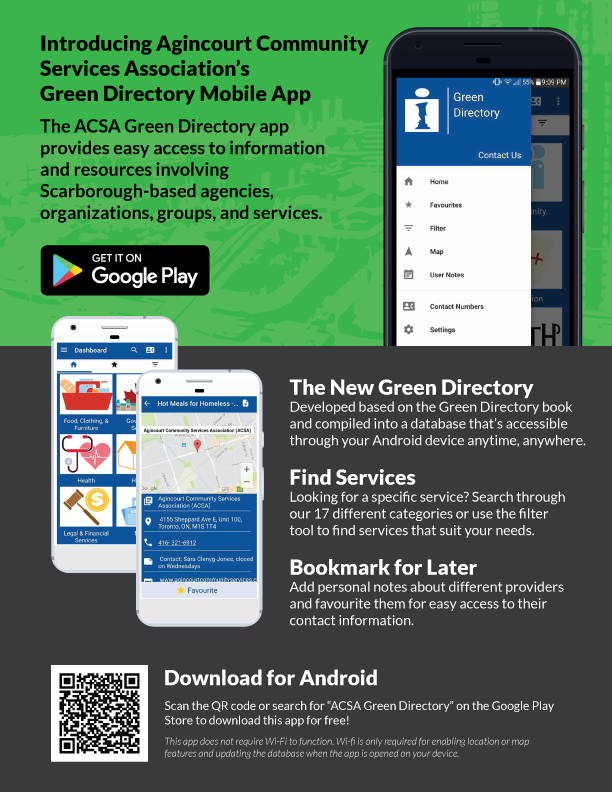 The ACSA Green Directory app is a non-partisan and non-profit organization application built to serve residents, community and service providers within Scarborough, Ontario. This application provides easy access to information and resources involving Scarborough-based agencies, organizations, groups, and services. This application does not require wi-fi to operate, however certain features such as map locations and webpages, will not be available.